The inner lives of animals are hard to study. But there is evidence that they may be a lot richer than science once thought. As Greenland’s ice sheet continues to melt, researchers are looking to the clouds. Results from a new study have found that the melting of the ice sheet can increase by one-third when the skies are cloudy. The second largest ice mass in the world, after Antarctica, Greenland’s ice sheet is melting at increasing speeds and making a big contribution to the planet’s rising sea levels. Energy storage technology firm, AES UK & Ireland, announced this week that the UK”s largest energy battery storage array will come online in February. Based at its Kilroot Advancion Energy Storage Array in Northern Ireland, the company is capable of providing storage energy commercially offering 10MW of energy storage capacity for the grid. Another European country has expressed intentions to support the development of the renewable energy sector in Iran. The Iranian Energy Minister recently reported that Denmark has expressed an interest in developing a wind turbine manufacturing facility in the Middle Eastern country. Minister Hamid Chitchian told media agencies that Denmark is looking to build a manufacturing hub in Iran from where it can export the wind energy equipment to other countries in the region. India could save up to US$6 billion per year under the government’s current plan to switch to light-emitting diode (LED) light bulbs by 2018. The announcement was made by Piyush Goyal, Minister for Power, Coal, New and Renewable Energy, Government of India, at an event at the Harvard College US India Initiative in Mumbai. Pharmaceutical giant Bayer has said it has put forward proposals for extra protections for bees after initially accusing the Environmental Protection Agency of overestimating the harm caused to the vital pollinators by a widely used pesticide. NEW ZEALAND – Underwater GoPro footage has helped provide Kiwi scientists with the first direct evidence that groups of fish communicate to keep safe from predators. While scientists have known fish send messages to each other for mating purposes or to defend territory, this is the first time research has shown they also use special “contact calls” to keep together. The team from the University of Auckland’s Institute of Marine Science published their findings overnight in the international journal Nature Scientific Reports. NEW ZEALAND – A dog has died after drinking from the Tukituki River. Marley was a beloved family pet and owner Chelsea Ellmers says it feels like a piece of her family is missing. The 4-year-old labrador died due to a suspected case of cyanobacterial poisoning. The death has prompted renewed warnings from Hawke’s Bay Regional Council and the Hawke’s Bay District Health Board about the risks of toxic algae in summer. AUSTRALIA – The Brigalow Belt in Queensland is a national hotspot for wildlife, especially for birds and reptiles. Many of these, such as the black-throated finch, golden-tailed gecko and brigalow scaly-foot are found nowhere else in the world. But the region is also one of the most transformed and contested areas in Australia. People want to use the Brigalow for many different things… Currently, at least 179 species of plants and animals are known to be threatened in the region. In research published today we look at the best way to conserve these species, attempting to balance the competing uses of this region. The South West is drying up according to Nathan Harrison, manager for strategic fisheries policy with the WA Department of Fisheries. 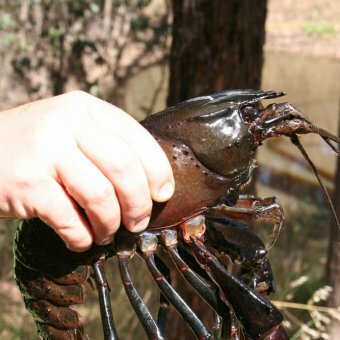 Last December, falling water levels in the Collie River led to marron deaths and a rescue mission to save the freshwater crustaceans from a scorching demise. Millennials are earning a reputation for doing things differently. They communicate intensively using social networking (Facebook, Twitter, Pinterest), are revolutionizing transportation (Uber, Lyft), and are now demanding corporate sustainability and accountability. Currently the largest living generation in the United States, Millennials have enough ‘buying power’ to throw their weight around. But this innovation doesn’t happen by chance or because Millennials passively expected it — they create it by advocating for themselves. The U.S. solar industry employs some 209,000 people, following a third consecutive year of 20 percent-plus job gains, according to a census of workers in the clean energy sector released today. Washington-based nonprofit the Solar Foundation reports that jobs in solar grew at 12 times the pace of the overall economy from November 2014 to November 2015, and that the industry is poised to add upwards of 30,000 more jobs in the next 12 months. AUSTRALIA – The Government may buy back homes hit by large insurance premium rises because of flood risk, Northern Territory Treasurer David Tollner says. “There’s a few places across the Territory which we believe will probably be uninsurable … government will look at taking on those houses, offering a fair price, and doing something with it,” he said. Mr Tollner’s comments come as customers insured by the Territory Insurance Office (TIO) with homes in storm surge and flood-prone areas start receiving the first of three price hikes. As the Indian renewable energy market heats up with new and bigger projects being announced every week, private and public sector financial entities are looking to raise fresh funds to cater to the increasing demand. The Indian Renewable Energy Development Agency (IREDA), the primary government-sector entity that is responsible for disbursing loans and subsidies to renewable energy projects in India, has floated a fresh bond issue to raise Rs 1,716 crore (US$260 million). Whether the European Commission’s Circular Economy Package is ambitious enough is still under debate, but at least it leaves some flexibility for potential partnerships, industry-led and local government-led initiatives to shape the next economy. Some cities are already seizing related opportunities: Berlin and London are sharing economy leaders, and the City of Amsterdam is conducting cutting-edge research for its transition to a circular economy. Carpet tile manufacturer and sustainability leader Interface is expanding its ReEntry recycling program by “creating a new network of regional recycling allies,” beginning with Oakland, Calif.-based Rethink Green. The company is seeking additional strategic partner recyclers in order to increase carpet recycling across North America each year. Here’s a depressing statistic if you’re worried about climate change: 63 percent of Americans say they’re concerned about the issue, but only 47 percent think the government should do anything about it. That divide, known as the “attitude-behavior” gap, isn’t all that uncommon. And activists and politicians have tried all kinds of strategies to address it. They’ve appealed to people’s better nature (“Help save the children!”) and to their self-interest (“You’ll get a tax write-off!”). Each of these methods can work under certain conditions, but both have their limitations. What if there were a way to combine the best aspects of each — to use an appeal that simultaneously targets self-interest and our desire to help others in need? Our research suggests a promising way to do just that — by encouraging people to consider their own future legacy. NEW ZEALAND – Commercial fishing will be banned in Auckland’s coastal playground, under new proposals released by the government. It plans to create recreational fishing parks in the inner Hauraki Gulf and the Marlborough Sounds, and compensate commercial fishers for the loss of their catch in those areas. As the rest of the world looks upon America’s 2016 presidential race and what has become a disgrace of a democratic system, its bewilderment can be organised around a series of hows and whys. AUSTRALIA – The COP21 commitments will affect virtually every aspect of our existing policy approach – innovation, sustainability, industry, food and agriculture, energy, resources, cities, regional development, employment and education… Focusing on energy generation as one aspect of technology – arguably the most central theme in the Paris talks – it’s clear that this is still a live debate in Australia. For the near-term we have to rely on existing coal-fired generators. Like it or not, Australia simply doesn’t yet have the capacity to switch-off existing plants and rely wholly on renewables. The thought of being caught in a cyclone, flood or bushfire would be a terrifying idea for many, but an expert in natural disasters says simply talking about the possibility can greatly relieve fears, particularly in children. Professor Kevin Ronan from Central Queensland University has been involved in a variety of disaster-related research, including information collated in the wake of Cyclone Marcia. NEW ZEALAND – Palm kernel imports picked up sharply last month, despite the efforts of Fonterra and Greenpeace to curtail its use. Imports of the controversial livestock feed supplement, which is used extensively in the dairy industry, came to 222,413 tonnes last month, up from 138,763 tonnes in October and 178,381 tonnes in November last year, according to Statistics NZ data.